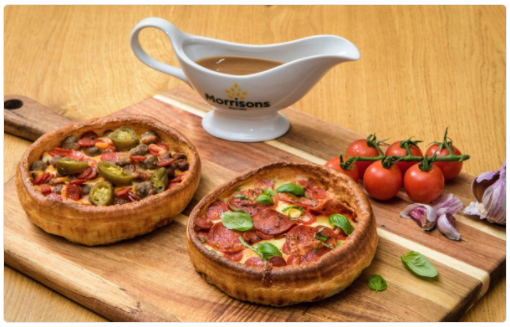 A supermarket has started selling a pizza that uses a Yorkshire pudding as a base, and no one knows quite what to make of it. Do you like thin crust pizza? 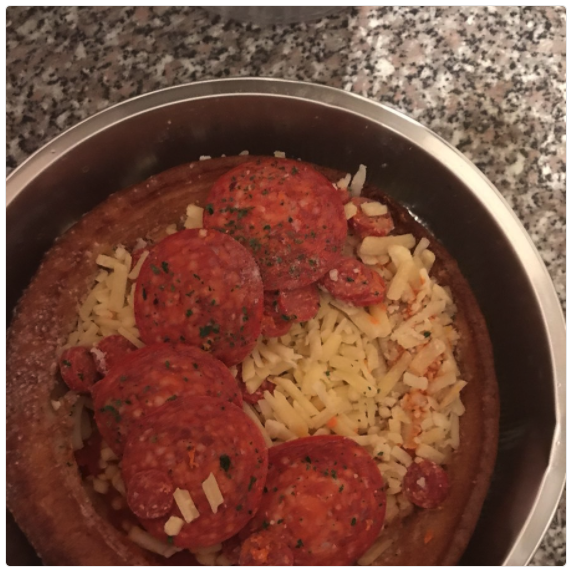 Deep dish? Stuffed crust? Or what about Yorkshire Pudding. 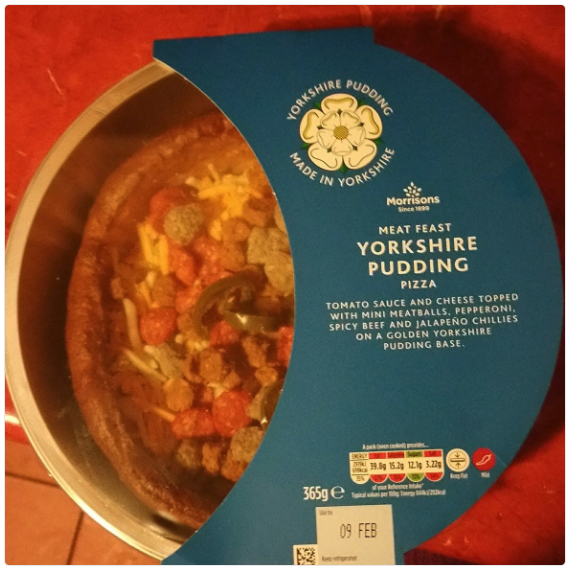 Well if you chose the last option, your time has come: a supermarket has stated selling Yorkshire Pudding Pizza. Yea… it comes in two flavours: pepperoni, or meat feast, and whilst we’re cautious, we think they look great. Painfully average. Average sauce, average cheese, average pepperoni. Overall disappointing. Excellent concept but poor execution. 3/10.